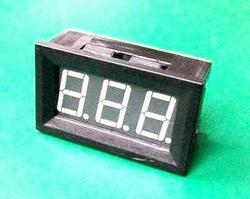 1, The DC Ammeter range is DC 0-9.99A. 2, The current direct input table without shunts and transformers. 3, You must use an external power supply, the power supply voltage is DC7-20V . 4, Special attention: the power of the input can not be negative (common ground)! ! Accuracy: Current 0.25% +- 1 dgts. Auxiliary Power: 90 To 270v Ac/dc, 50 Hz Single Phase Ac Auxiliary Supply Required For Operation. 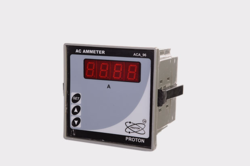 We are a most trusted name among the topmost companies in this business, involved in offering SMART Digital Ammeter.